Pacific Coast Highway No. 1 is one of the most scenic routes in the world. 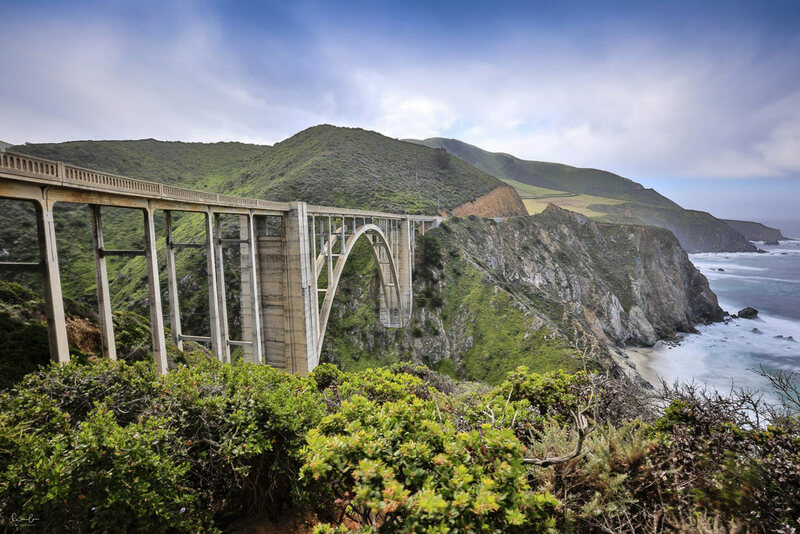 The road trip along the fabulous coast panorama is a must for all seaside lovers. Cabrillo Highway is a cult. 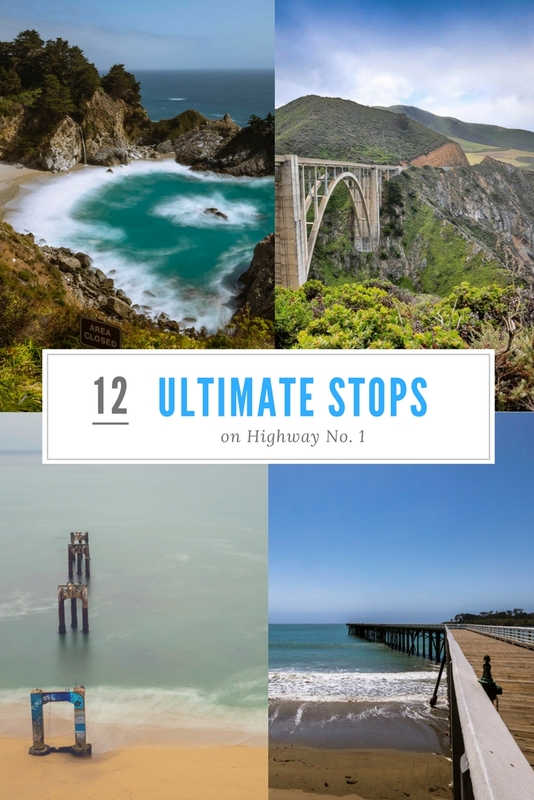 Here are 12 stops along Highway No. 1 you don’t want to miss. It runs over 1.055 km from Dana Point as the starting point in the South between San Diego and Los Angeles to Leggett as the final destination in the North. You can pick easily pick your favorite part and do parts of it. I started in Los Angeles and finished in San Francisco. My two weeks itinerary of California allowed me to have enough time to stay in different places and explore San Francisco for 5 days at the end of the trip. From Los Angeles Airport you will reach Santa Barbara in about an hour and a half. 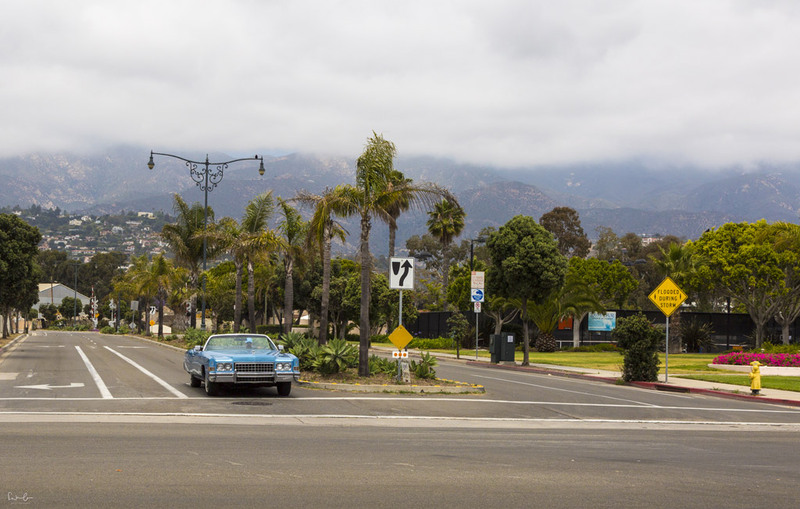 Santa Barbara is also called the American Riviera® located between Pacific beaches and the Santa Ynez mountains. The city with its Spanish Mediterranean look and feel offers plenty of restaurants, cute little boutiques and beautiful beaches. It’s close to the Santa Ynez Valley which is famous for its vineyards and worth a visit. If you’re lucky you can even spot whales from the pier. It is a classic American beach town with endless white beaches and amazing sunset views. 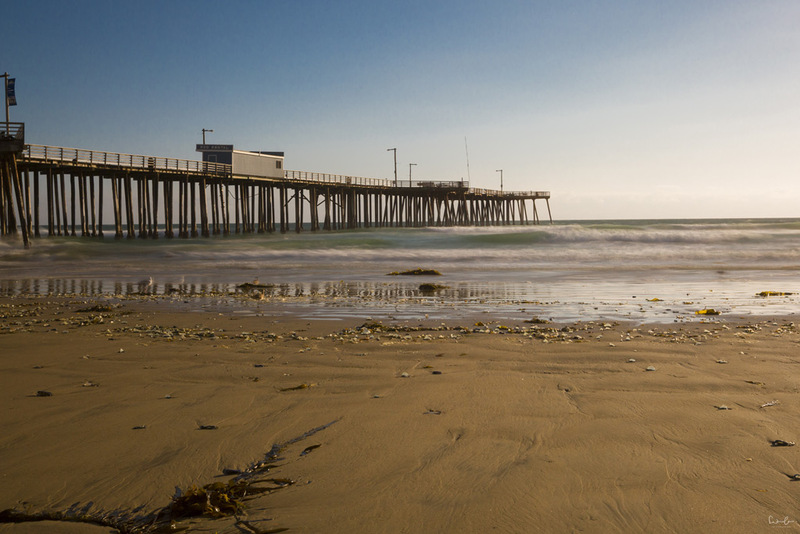 Have a walk on the Pismo Pier and the boardwalk or ride the dunes with a four-wheel. Don’t miss to have a cinnamon roll at Old West Cinnamon Rolls. Ventana Grill for diner offers a breathtaking view and delicious food. Need a stopover during your road trip? Here’s SeaCreast Ocean Front* by the beach where I stayed. 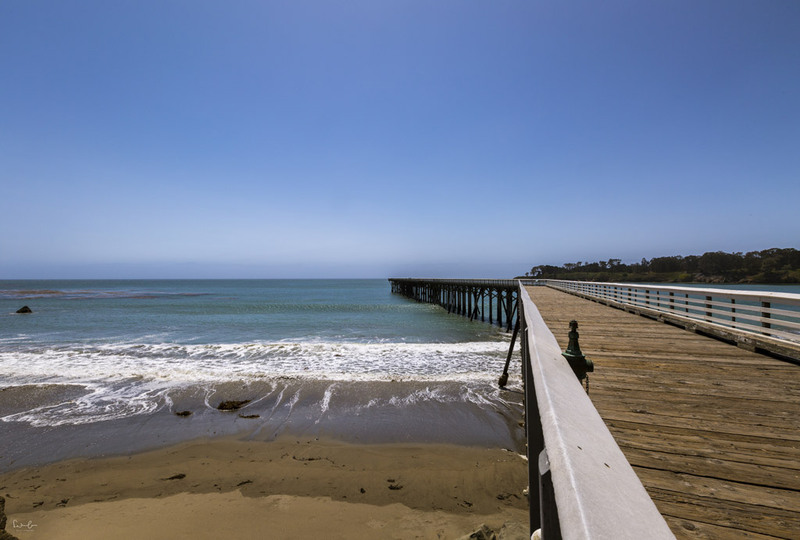 Find charming restaurants, mineral hot springs and beautiful beaches in Avila Beach. For a stunning view and great seascape photos drive up the Cave Landing Road, park your car and walk along the trails of Avila Sea Cave. You can go for a swim at the quiet Pirates Cove beach. The city San Luis Obispo is a cute place with plenty of activities to offer. I stayed overnight in Pismo and went to SLO for an evening. 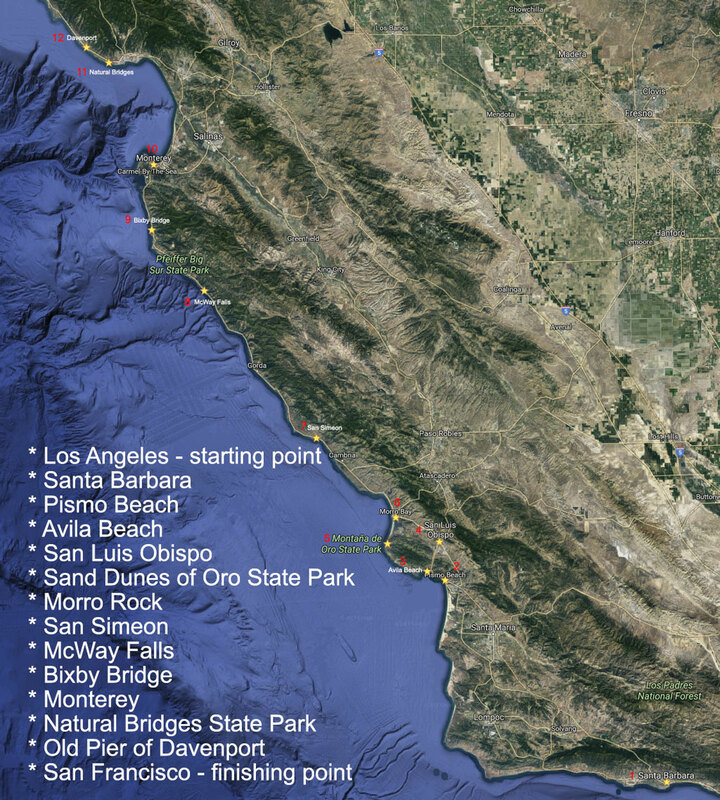 The area around San Luis Obispo is perfect for a hike or bike tour. In the city, you can find nice restaurants, coffee shops, beautiful art galleries and museums. I can recommend Novo Restaurant and Lounge for dining and to enjoy a chilled glass of white wine from the area. Just Looking Gallery is a great place to discover vintage style travel pictures and fine art pieces. 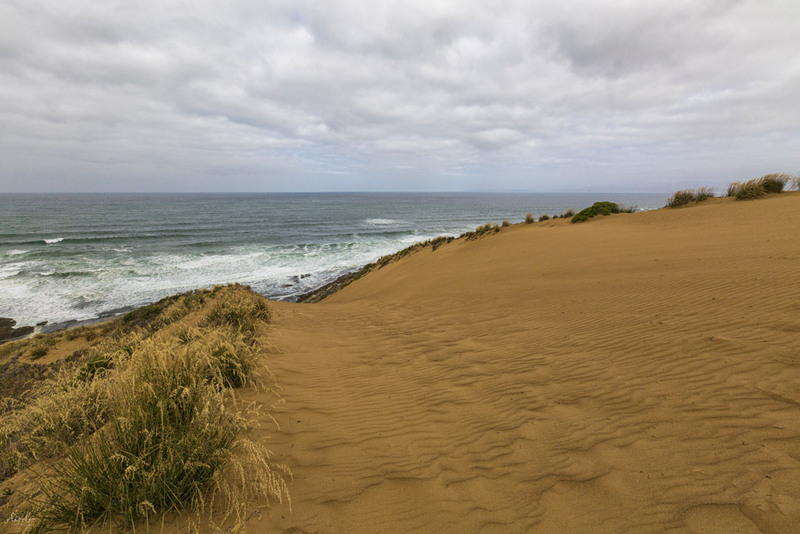 These were not on my initial itinerary, but I heard about huge sand dunes near Morro Bay and wanted to see them. On my way from Avila Beach to Morro Rock, I took some little roads through a beautiful forest when I finally saw the massive sand dunes. I couldn’t believe I really found them! When you’re in this area, find Pecho Valley Road and look out for the Dune trail. Highway No. 1 leads you straight on to Morro Bay and its monumental Morro Rock. 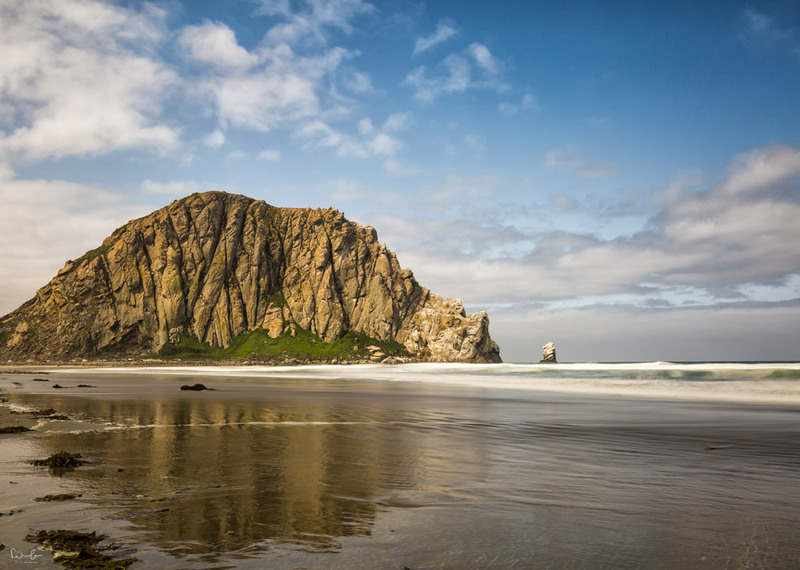 The best spot to capture Morro Rock and its reflection is from Embarcadero. Just look it up on google maps, find some parking and spend some time at the beach with the view of the rock. 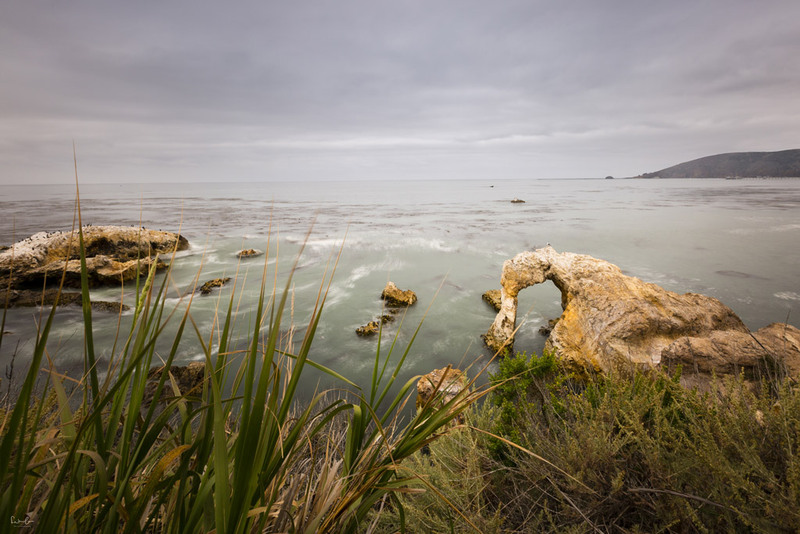 After you passed San Simeon make sure you’ve got enough fuel to make it through Big Sur. I also recommend you to check the roads, before you go. Parts of the highway were closed in 2017 and re-opened in July 2018. 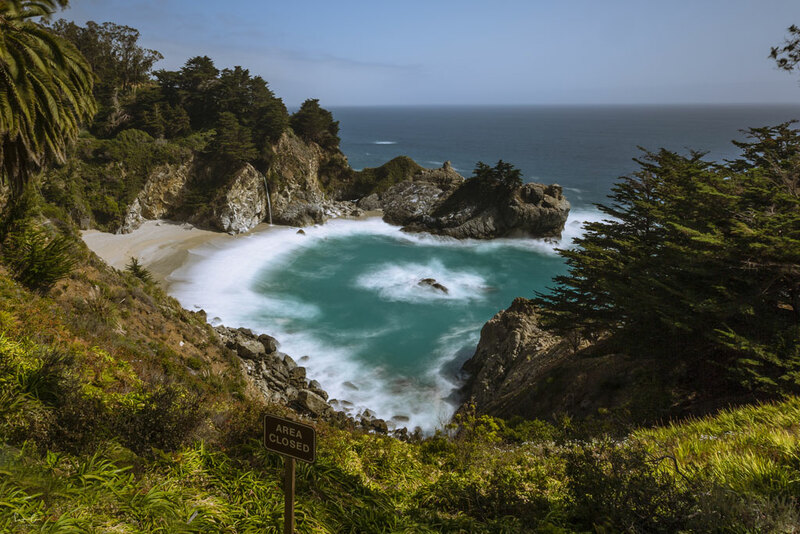 Closed roads should not keep you from heading to the McWay Falls in Julia Pfeiffer Burns State Park, right in the heart of Big Sur. There’s a little path down to a viewing platform. Don’t miss it. It is a breathtaking spot. I stayed overnight in Big Sur. Although it is not a cheap destination to stay, the forests with the amazing redwoods are just amazing and worth spending a few extra Dollars. Tip: Be early with your booking. There are not too many lodges and hotels*. Have I already mentioned that I am obsessed with photographing bridges? Bixby was on top of my photo spot list. While people usually stop quickly, get a shot done and leave, I spent around two hours there. Opened in 1932 it is still one of the most admired bridges with an amazing view, especially at sunset. 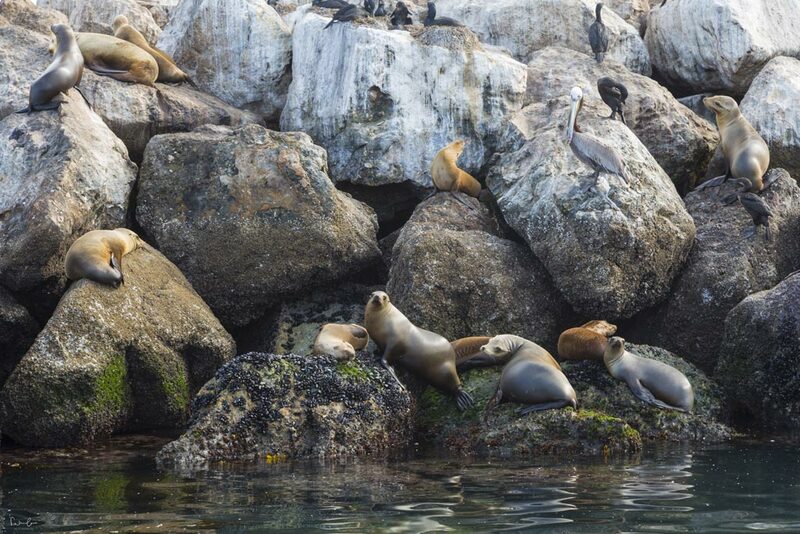 In Monterey Bay, you can enjoy the amazing Monterey Bay Aquarium, stroll the Old Fisherman’s Wharf, drive along the 17 Mile Drive or book a whale watching tour. I had an amazing tour and even saw Orcas! Make sure to bring some pills in case you’re suffering seasickness. Here’s my article things to do in Monterey in 2 days with some guidance and ideas for you. If you’re looking for a hotel, I can recommend Casa Munras Garden and Spa*. 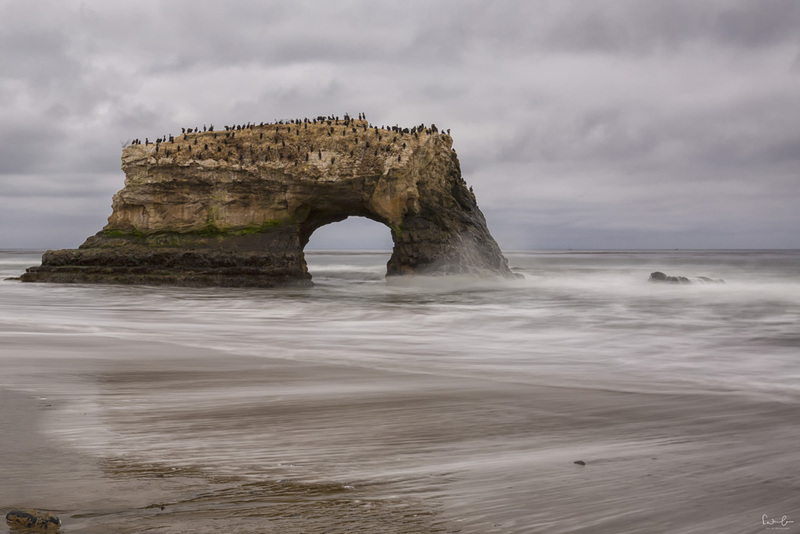 Between Monterey and San Francisco, there is Natural Bridges State Park in Santa Cruz, a perfect vantage point for viewing birds. The Natural Bridge with hundreds of birds sitting on it is a perfect photo spot and the beach invites for a walk and stretch one’s legs between the driving. If you decide to stay in Santa Cruz overnight you can find some things to do and where to eat here. 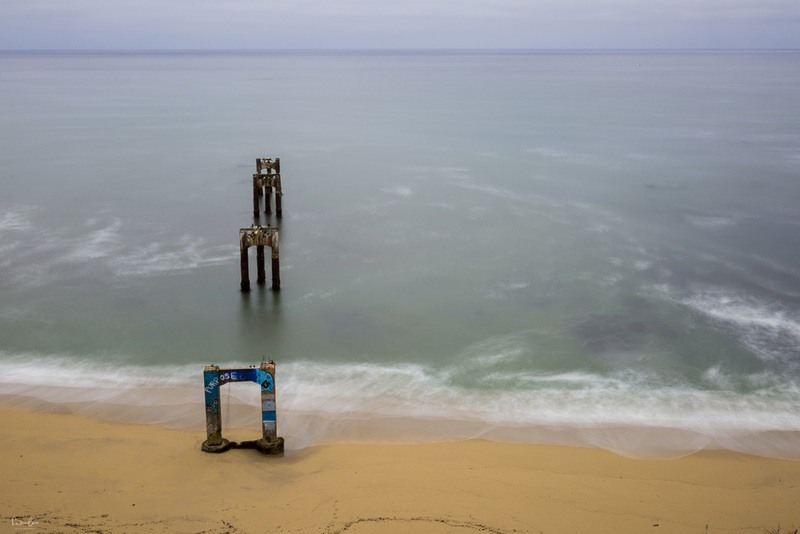 Just a few minutes drive north from Santa Cruz you reach Davenport and find the abandoned pier, which is a dream for every photographer. You can park your car right where the train line crosses the road. Make sure you don’t miss it. The old pier was my last stop before I hit San Francisco. Find out where to find the best viewpoints of the Golden Gate bridge are and which things you can to for free in this fantastic city. If you need a beginner’s guide for San Francisco, check this one. That’s your kind of fun? Then read my guide on how to prepare for a road trip. Dorota from Born Globals has published an article with 6 easy steps to plan a trip to the US you’ve been dreaming of. 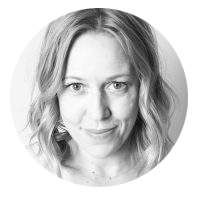 Check out her blog. Disclaimer: This article contains affiliate links* which means I will earn a small commission if you purchase/book through my links. This is without extra costs for you. Thank you for considering booking through my links. Thank you so much. I’m glad you like them. If you need any tips, let me know. I’m happy to help. Ah, those landscape images are divine. We are both into soft adventure and we love the outdoors and this posts really hit the spot. I mean I would want to be there just to take a fresh breath of air. So lush!